How to find the best custody attorney in Denver. For most people, when it comes to their children they’re willing to set money aside and just spend whatever it takes. This is why so many people are willing to throw whatever money they need to at their custody attorney. They believe that by spending more money than their spouse they are guaranteeing that they’ll win the custody battle, and since their kids are so important to them, spending whatever it takes is absolutely fine. Of course, this is a bit of faulty logic. Just because you spend the most money on your attorney doesn’t mean you’re going to win the custody battle. For starters, you simply might not have the best claim to custody, so your ex-spouse may win solely on that. Second, just because one lawyer costs more than another doesn’t mean they’re actually better. It might, but all that it really means is that they cost more. So if spending the most money isn’t the best way to find the best custody lawyers, then what is? Well, any search for a great custody lawyer should begin with reading through reviews and testimonials about them. This is where you’re going to be able to get an idea of whether or not they’ve been successful in their past cases and how much (or little) people have enjoyed working with them. When people are writing reviews or leaving testimonials, they generally say the things that are on their mind, so you should be able to gain valuable, and honest, feedback about a particular attorney. Use these tools at your disposal to determine whether or not you believe a certain custody attorney is actually good at their job and if you believe they can help you win. The second thing you should keep your eye out for are custody lawyers with vast amounts of experience. Custody battles are one of those things that get easier to do the more times you do them. Thus, the more years a custody lawyer has been in practice the more capable they’ll be at helping you get custody of your children. It’s not a perfect correlation, but you’re certainly better off choosing the lawyer that’s been practicing for a long time than the one fresh out of law school. Finally, you should only work with a custody lawyer who actually cares about the clients he works for. If he or she looks at you just as a way to earn money and not as a case that they should win because you’re the right person to get custody, then it’s time for you to look somewhere else. They should be genuinely interested in helping you win your case because it’s the right thing, not because it will make them look good. If you’re in the market for a custody lawyer in Denver, Colorado, give the Law Office of John Waters strong consideration. John is fully committed to helping each client he works for get the best resolution to their child custody case as is possible. Click on their office name and visit their website to learn more. 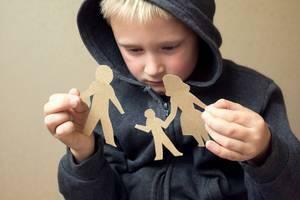 Comments Off on How to find the best custody attorney in Denver.